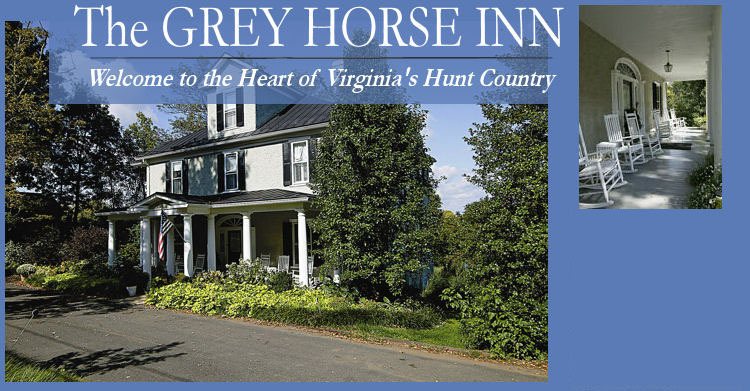 It is with much regret that we announce the closing of the Grey Horse Inn located in The Plains, Virginia on June 19, 2011. The Inn has been sold as a private residence and the owners (John and Ellen) will be retiring. Over the years, we have had several thousand guests stay at the Grey Horse Inn, all of whom we consider friends. It has been one of the highlights of our lives to have met so many wonderful people and heard so many amazing stories. We believe it is safe to say that we have collected a life time of memories and stories. It is now time for us to move on to our next great adventure. Thanks to all of you who have stayed with us for enriching our lives.